A Little Bit of Pampering is Due! There gets a point when you know you feel tired and worn out but these little people just keep on pulling at the sleeve, demanding juice and cartoons. You just get into a semi seated position and there’s a yell of something else that needs doing. We all know this feeling well! I firmly believe in the age old saying about ‘Remember to take care of yourself first. You can’t pour from an empty cup’. This has popped up a couple of times on social media this past week and i truly think that we receive messages when they are most needed. 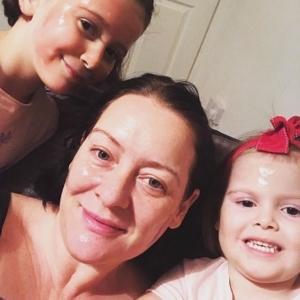 Lately I have been mummy 24/7 with very little me time so I think its about time I switch it around and not think of it as having some time alone, I need to do a bit of pampering and have the girls enjoy it with me! Believe me I stand much more of a chance of pampering if they are doing it too, as much as an hour away having a massage would sound like heaven I still have to come home and confront the whirlwind pair of girls I have! If I include them in the pampering session hopefully it might help them unwind too and give us all a little down time! First up every pampering session should start with a nice quiet bath! I love that you can get mother and baby products to use together so it feels like a real spa with scents that work together. 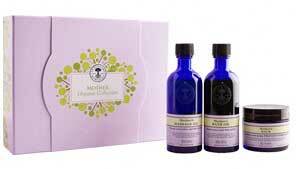 I have always loved Neals Yard products and have used them for years on myself so to find that they do a mother and baby range means that I can pamper the girls with products suitable for their skins too. Being 43 you can bet there are some things that I use that would be way too strong for the girls, knowing they have their own selection of balm, lotions, bubbles and creams makes me happy. Of course after the bath comes nail varnish and face mask time – the girls have always been partial to a peel off face mask. There is something so satisfying about peeling off the set mask, I’m sure its not just me! Do all little girls love having their nails painted too? The girls are always wanting to change the colours but we try to keep quite neutral with school etc. The Mothers Balm is great for stretch marks but I swear by it as a hand cream, I use it all the time and with it having properties to increase skins firmness and elasticity it makes my hand so smooth and younger looking. You can buy sets with all of the bath products included so with our second grandchild on the way in April too I know exactly what I will be buying as a pamper treat for Lauren and Baby E.
This is a collaborative post with Neals Yard. Thunderbirds are GO!! Volume 1 and 2 DVD Giveaway!